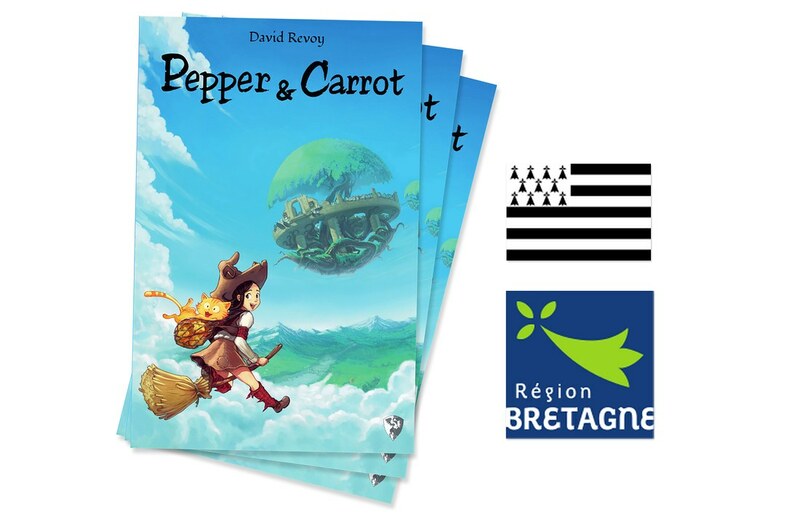 The publisher Ar Gripi published a printed version of Pepper&Carrot in the Breton language (Brezhoneg) spoken in Brittany ( a cultural region in the north-west of France ). This printed version was possible thanks to the efforts of the translator Stefan Carpentier and regional sponsoring. 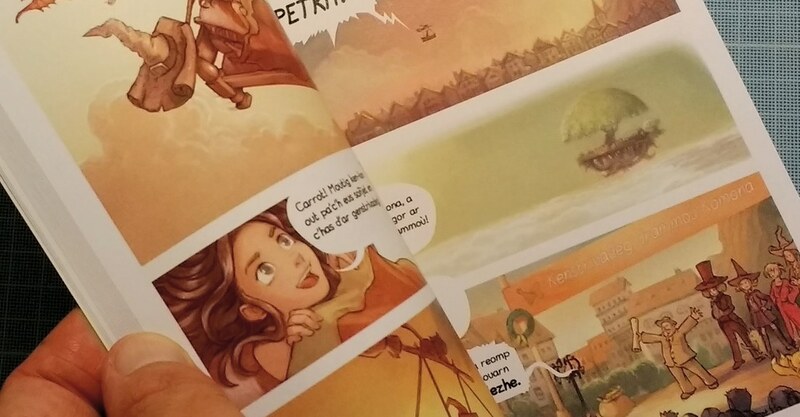 You can also start to read Pepper&Carrot in Breton online today on the Pepper&Carrot website. Stephan always releases his translations as Creative Commons and actively contribute to maintain new episodes. 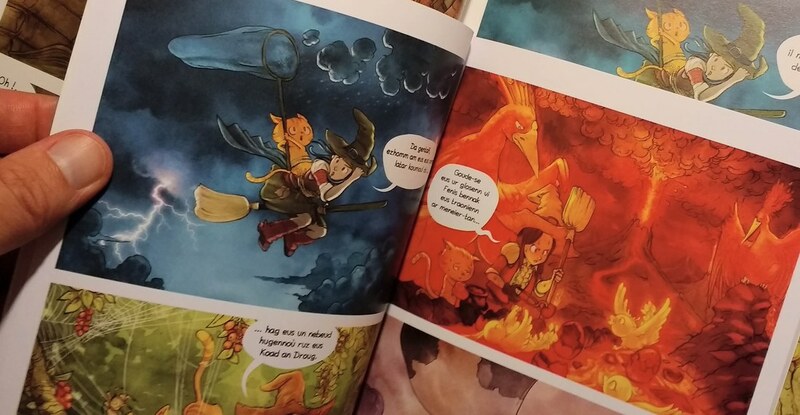 The size of the book is smaller than the version printed by Glénat (this one is a 16x24cm book) and it has a soft-cover and glossy paper with rich colors. The book contains the first ten episodes, 72 pages for a public price of 12€. You can find it on the catalog of the publisher, or on the e-shop here. Size comparison (click to enlarge) : Glénat book with hard-cover on the left, Ar Gripi on the right. an event about publishing and books in this region. with a special permission to republish here, 30 january 2017 . Great! Any chance of an English (or German, or Spanish) version (soon?) ? English: No commercial publisher around contacted me about it ; but there is still a work-in-progress project to print it with the Krita Foundation. 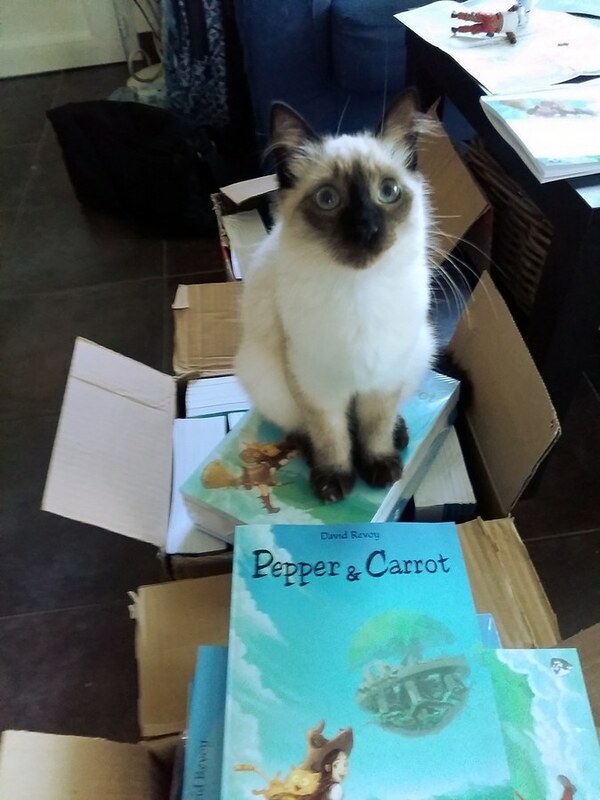 The project lack of man-power, and we need to a talented designer to finish the Scribus work to make the book appealing: https://github.com/Deevad/peppercarrot_print_book01 , so no estimated time arrival. German: Soon! April or this spring, it will be published by PopCom. They are working on it since last September. Spanish: No commercial publisher around contacted me about it, and no community project as far as I know. i'd love to start the spanish community project, can i fork the https://github.com/Deevad/peppercarrot_print_book01 to start? i'm not an expert with scribus but i'm interested to see how far can i go. Hey! Sorry for late reply. Sure! Go ahead! I plan to finish the book in June. Yeah... I was wondering what the status was... The Krita Foundation should be taking delivery of the first artbooks this week. 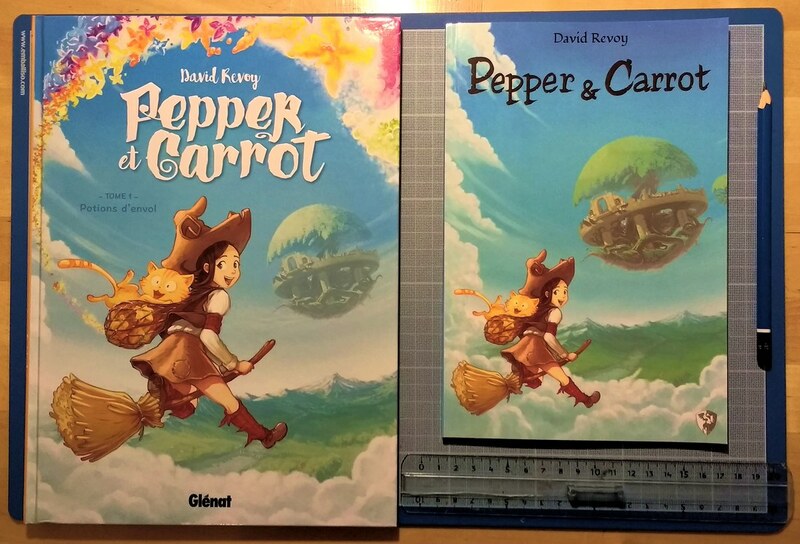 If that worked out, and looks as good as I hope it does, I think I'd like to make sure we are going to make progress with the English Pepper and Carrot edition. I'm a fair hand with Scribus, but I'm not a real designer -- so especially the cover needs help. I remember reading Tintin and Asterix books for hours when I was younger. They were bigger than A4 as I recall and really colourful. If Pepper and Carrot were published in English I'd be buying them for my niece and an extra copy for myself ^_^ The artwork is amazing. You really need to approach Dani Books for German publishing or Dark Dragon Books for a Dutch/Benelux publisher - pretty please? Hi Claudia, sorry, but I don't need to approach any publisher; they often cost me time, more work than new real contributions or new supporters and we rarely agree on making a win/win collaboration together. They often are only money-driven entreprise, and sell rarely more than thousands of book ; so really few new eyes and new reader compare to what Internet can do ; a portal like ImgUR can get 300K reader in a single day. The best publisher I have around is Glénat for the FR version . They really invest and are around Pepper&Carrot. The printed version is really a cool derivative product ; paper version pleases the (few) fan as a collectible object. Don't get me wrong ; I also like when it happens too! :-) But it's really a lot of work, emails, advices, etc... A lot of work for only an 'extras' for few. 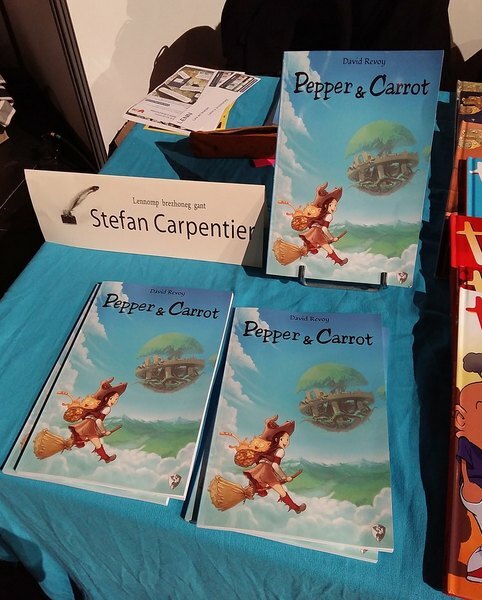 In Germany, Popcom printed Pepper&Carrot: http://www.tokyopop.de/manga/popcom-comic/kids/pepper-und-carrot/ but due to not really good relationship with them on the last month, I decided to not making official advertisement about their work. But I'm open to any contributions, and I'll be very happy if you can approach Dani Books for German publishing or Dark Dragon Books and be my volunteer 'agent' for taking a project like that. :-) Thanks if you can.